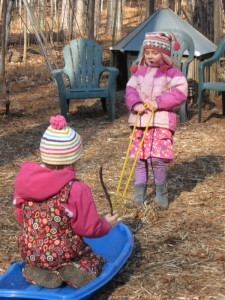 Winter has arrived on The Rose Garden playground and the children are ready to play! But what you see here is not all fun and games: according to a CNN article yesterday, the learning that takes place in childhood through the magic of creative play serves them not only on the playground, but in their Harvard classrooms. The following article by Erika and Nicholas Kristakis, of Harvard, highlights how the ability to control impulses, which is learned in play, serves the young adult in their future endeavors. The operant words in the article are “constructive, teacher (adult) moderated play”. Children certainly learn from their interactions with each other, but they need an adult close by to help them know how to move through the rough spots. Here is an excerpt from the article; you’ll see your child’s play in a new light! “One of the best predictors of school success is the ability to control impulses. 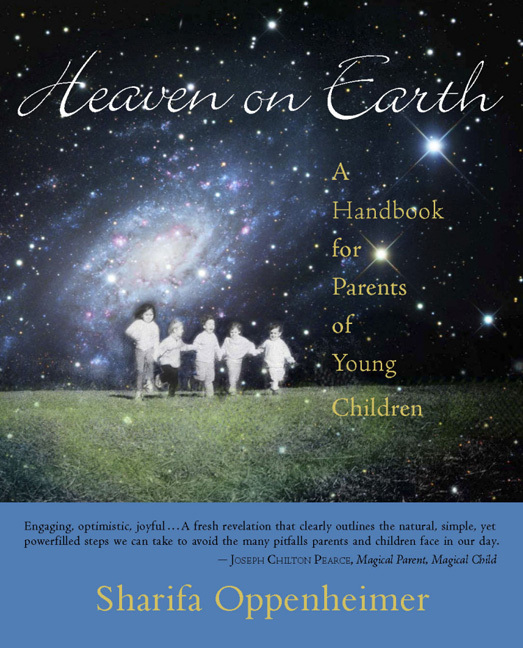 Children who can control their impulse to be the center of the universe, and — relatedly — who can assume the perspective of another person, are better equipped to learn. Psychologists calls this the “theory of mind”: the ability to recognize that our own ideas, beliefs, and desires are distinct from those of the people around us. When a four-year-old destroys someone’s carefully constructed block castle or a 20-year-old belligerently monopolizes the class discussion on a routine basis, we might conclude that they are unaware of the feelings of the people around them. The beauty of a play-based curriculum is that very young children can routinely observe and learn from others’ emotions and experiences. Skills-based curricula, on the other hand, are sometimes derisively known as “drill and kill” programs because most teachers understand that young children can’t learn meaningfully in the social isolation required for such an approach. How do these approaches look different in a classroom? Preschoolers in both kinds of programs might learn about hibernating squirrels, for example, but in the skills-based program, the child could be asked to fill out a worksheet, counting (or guessing) the number of nuts in a basket and coloring the squirrel’s fur. 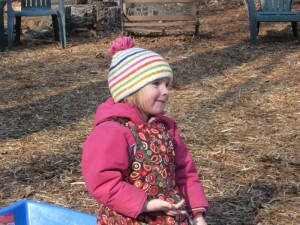 In a play-based curriculum, by contrast, a child might hear stories about squirrels and be asked why a squirrel accumulates nuts or has fur. The child might then collaborate with peers in the construction of a squirrel habitat, learning not only about number sense, measurement, and other principles needed for engineering, but also about how to listen to, and express, ideas. 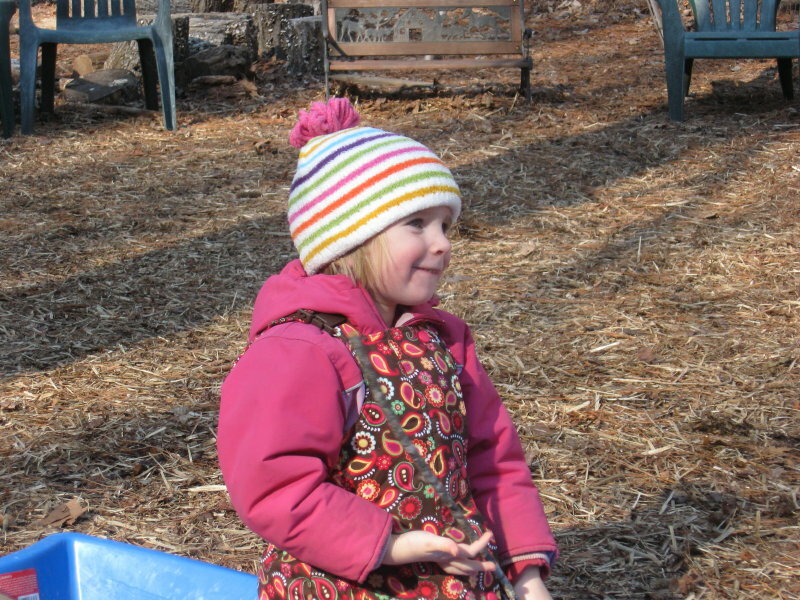 The child filling out the worksheet is engaged in a more one-dimensional task, but the child in the play-based program interacts meaningfully with peers, materials, and ideas. 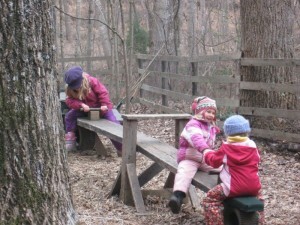 Programs centered around constructive, teacher-moderated play are very effective. For instance, one randomized, controlled trial had 4- and 5-year-olds engage in make-believe play with adults and found substantial and durable gains in the ability of children to show self-control and to delay gratification. 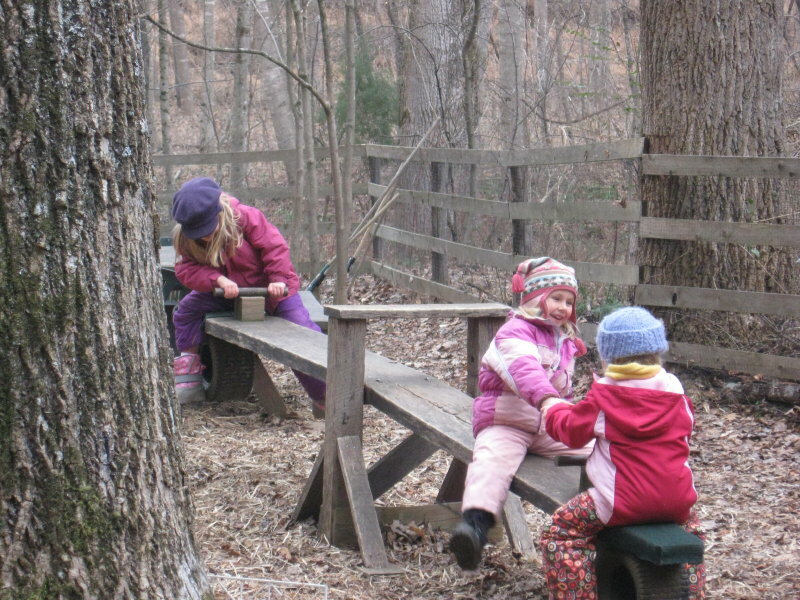 Countless other studies support the association between dramatic play and self-regulation. Through play, children learn to take turns, delay gratification, negotiate conflicts, solve problems, share goals, acquire flexibility, and live with disappointment. By allowing children to imagine walking in another person’s shoes, imaginative play also seeds the development of empathy, a key ingredient for intellectual and social-emotional success. The real “readiness” skills that make for an academically successful kindergartener or college student have as much to do with emotional intelligence as they do with academic preparation. Kindergartners need to know not just sight words and lower case letters, but how to search for meaning. The same is true of 18-year-olds. As admissions officers at selective colleges like to say, an entire freshman class could be filled with students with perfect grades and test scores. But academic achievement in college requires readiness skills that transcend mere book learning. It requires the ability to engage actively with people and ideas. In short, it requires a deep connection with the world.